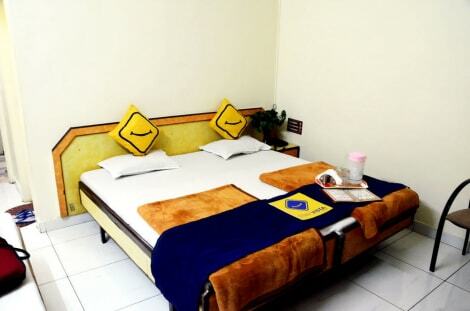 Located in Aurangabad, 5 km from Bibi Ka Maqbara, OYO 15199 Hotel Shree Maya has rooms with free WiFi access. Among the various facilities are a garden and a terrace. The accommodation features a 24-hour front desk, and organising tours for guests. All units at the hotel come with a seating area, a flat-screen TV with cable channels and a private bathroom with free toiletries and a shower. Guest rooms at Hotel Shree Maya include air conditioning and a desk. The nearest airport is Aurangabad Airport, 14 km from the accommodation. This charming hotel is situated in Aurangabad. The establishment comprises a total of 20 snug accommodation units. Customers will not be bothered during their stay, as this is not a pet-friendly hotel. Make yourself at home in one of the 10 guestrooms. Bathrooms with showers are provided. Make yourself at home in one of the 15 air-conditioned rooms featuring kitchens. Complimentary wireless Internet access is available to keep you connected. With a stay at Vista Rooms At Station Road-Aurangabad in Aurangabad, you'll be within a 15-minute drive of Bibi Ka Maqbara and Siddharth Garden and Zoo. This hotel is 1.1 mi (1.7 km) from Bani Begum Garden and 3.2 mi (5.1 km) from Mahatma Gandhi Mission Medical College & Hospital. Make yourself at home in one of the 23 air-conditioned guestrooms. Complimentary wireless Internet access is available to keep you connected. Bathrooms have bathtubs or showers and complimentary toiletries. 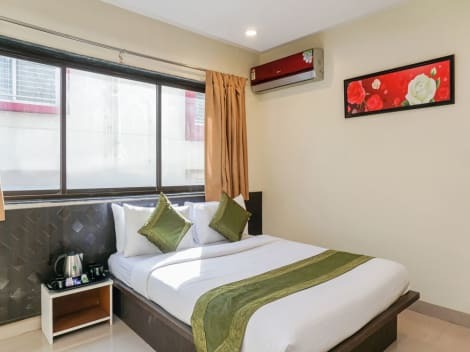 Located in Aurangabad, OYO 1000 Hotel Admiral Suites is connected to a shopping center, within a 10-minute drive of Bani Begum Garden and Siddharth Garden and Zoo. This hotel is 3.9 mi (6.3 km) from Bibi Ka Maqbara and 2.4 mi (3.9 km) from Mahatma Gandhi Mission Medical College & Hospital. lastminute.com has a fantastic range of hotels in Aurangabad, with everything from cheap hotels to luxurious five star accommodation available. We like to live up to our last minute name so remember you can book any one of our excellent Aurangabad hotels up until midnight and stay the same night.